The adverse impact of climate change-associated extreme weather events is becoming more significant globally, particularly the flood impact on coastal and low-lying areas such as the Pearl River Delta (PRD). This study applied the framework to obtain order-of-magnitude estimations of human damages from future flood disasters caused by sea level rise for Hong Kong and the PRD region in southern China by 2050 and 2100. The assessment framework employs statistical analysis to combine global historical flood damage data with national development indicators and local sea level characteristics to assess the potential damages. 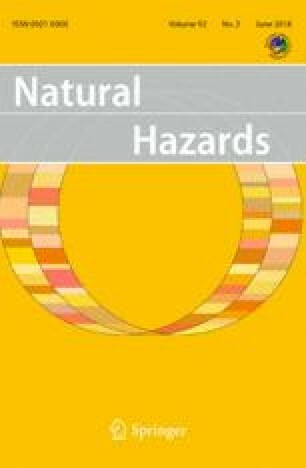 Following the terminology of the Intergovernmental Panel on Climate Change Special Report on Extreme Events, the three determinants of disaster risk (climate extreme, exposure and vulnerability) are quantified in our framework. It is found that without adaptation, sea level rise will significantly increase the flood risk in this region. For instance, in the PRD region, with a 75-cm sea level rise by 2100, the deaths and displacements from a 100-year flood are estimated to be around 200 and 1.5 million, respectively. Our results provide motivation for regional authorities to adopt a long-term adaptation plan to reduce exposure and vulnerability to flooding, thus managing the risks in this region. Furthermore, with appropriate datasets available, our framework allows the assessment of the effects of flooding in other areas and/or the quantitative evaluation of potential losses from other climate-related hazards such as heat waves. Funding was provided by Hong Kong University of Science and Technology (Grant No. FSGRF12IPO03) and United International College, Beijing Normal University-Hong Kong Baptist University (Grant No. R201313). In statistics, the generalized Pareto distribution (GPD) is a family of continuous probability distributions. It is often used to model the tails of distribution. Therefore, the sea level of certain return period can be estimated from GPD using the threshold method. This method allows efficient use of the data to estimate extreme cases. If there exists any limiting distribution such that u → ∞ P(X − u|X > u) follows the GPD (setting Y = X − u, u is the threshold), the distribution is given by Eq. (1) below, where a+ = max(0, a), \(\sigma > 0\) and \(\xi\) are the scale and shape parameters, respectively. The N-year return level (Z N ) can be calculated from fitted GPD. Fawcett and Walshaw (2008) summarized the application of statistical modeling in environmental extremes, and the details of distribution fitting and return period estimation can be found in their study. If the data can be well fitted by GPD for x above threshold u0, then u > u0 plotted against mean excess (i.e., the mean value of x i − u) should be linear (Davison and Smith 1990). On the basis of this relationship, we estimate the threshold for the HKO sea level data using the mean residual life plot and selected the reasonable candidate from the R packages (Coles and Stephenson 2006; Davison and Smith 1990; Fawcett and Walshaw 2008), which implement this procedure. The threshold value is chosen from the largest u where the linear relationship still holds as shown in Fig. 12. Therefore, u0 as 270 cm is chosen to be a reasonable threshold, and the model is fitted as σ = 11.43 ± 0.9 and ξ = 0.012 ± 0.054. The diagnostic plot for the sea level threshold excess model is shown in Fig. 13. The probability and quantile plots confirm that the GPD distribution is well fitted by the data points. To estimate future damages from DFO historical flood data, the relationship between flood magnitudes with future flood events should be established. We first estimate the current return periods of future events from HKO sea level data and then establish a function between return period and flood magnitude from DFO data (Eq. 4). By combining these two functions, the future flood magnitude can be estimated as given return period. The current return period of a future flood event is calculated based on method described in “Appendix”. More specifically it follows these steps to: (1) establish a dataset with the historical sea level data (1957–2012) from the NPQB station plus SLR projections (20–25 cm for 2050, 40–75 cm for 2100); thus, a 300-cm sea level will increase to 320–325 cm by 2050 and 340–375 by 2100; (2) estimate the 100-year sea level using GPD distribution from the new dataset; and (3) calculate the current return period of future sea level event within the historical sea level data (HKO) (e.g., at present, the 310-cm water level is a 6-year disaster, but it will be 1-year event with SLR 20 cm by 2050). Thus, we have the current return period level for 100-year event by 2050 and 2100. Using Eq. (3), the future flood magnitude at given return period can be estimated. Table 10 shows an example of the value of future annual sea level event, approximately current return period and flood magnitude by 2050 and 2100.